Maize processing machinery, as a kind of mechanical equipment, can transform maize, a high-quality grain, into many products and by-products. For people's daily life, it has been gradually unable to leave the maize products. Therefore, the development of maize processing machinery industry is of great significance to our daily life. The development of maize processing machinery industry can improve our life very well and make our quality of life better. 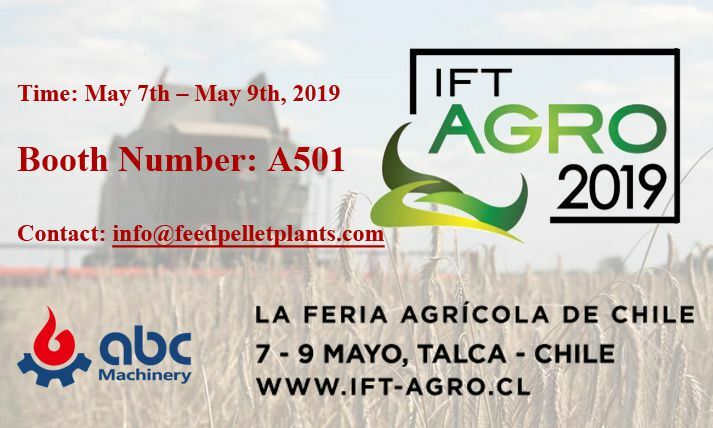 With the development of the times and science and technology, maize processing machinery will become more advanced and intelligent in the future, and the products processed will also become better. With the continuous development of maize processing machinery, the consumption of maize has increased year by year, which improves the enthusiasm and planting area of Maize in the world. Maize processing machinery structure was further optimized. At the beginning of its development, it was mainly used for grain processing. Its proportion was expanding, its industrial chain was prolonging, and its resource utilization efficiency was increasing. 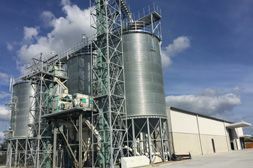 Maize processing machinery enterprises have increased the degree of industrial concentration and the development scale of maize processing machinery enterprises by means of new construction, merger and reorganization. The trend of industrial distribution shifting to the origin of raw materials is obvious. Although the maize planting area is very wide, it is relatively concentrated. In the process of development, maize processing machinery has been developing to the centralized maize producing areas, which reduces the transportation cost of raw materials. With the improvement of people's living standards, the development of maize products industry has been accelerated. The popularity of maize products has promoted the development of maize processing machinery industry. However, in the process of using maize processing machinery, there will be a lot of power consumption, which increases the expenditure of enterprises. Therefore, when using maize processing machinery, enterprises should control the energy consumption of electricity and reduce the cost expenditure of enterprises. It is very important to reduce the energy consumption of maize processing machinery. 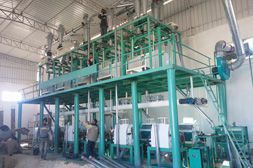 The power usage of maize processing machinery: a workshop should be subdivided into several workshop departments or sub-processes as accurately as possible. The power required by these sub-processes can be accurately determined by the method of integer power measurement. When the energy consumption of maize processing machinery is high, power measurement is also a cooperative method to indicate production operation. In the production of maize processing machinery, it is necessary to strictly implement equipment maintenance plan, reduce downtime, reduce maintenance costs and improve production efficiency. During the use of maize processing machinery, we can adopt "staggered peak production". By dividing energy utilization into different periods, we can put the production process with high energy consumption in the period of low electricity consumption rate. Sealing is the main and suction is the supplement, so as to reduce and prevent dust spillover. Close to and align the direction of dust source and dust-laden airflow as far as possible. Under the condition of guaranteeing certain dust-collecting wind speed, it can effectively eliminate the dust produced by equipment with the minimum air volume. Maize processing machinery controls the wind speed of dangerous section to prevent material from being sucked away. For particulate materials, the wind speed of dangerous section is 3~4m/s and that of powdery material is 0.5~1m/s. Maize processing machinery for equipment that need to absorb waste heat, residual moisture and used for wind speed, the suction device should have appropriate air outlets and reasonable air ducts to ensure adequate air volume. Maize processing machinery is durable, easy to disassemble, easy to operate and maintain. In order to make the dust concentration of the air inside and outside the workshop meet the national standard, the second-stage dust removal is generally adopted. In the first stage, centrifugal dust collector is used to collect dust with larger particle size. In the second stage, bag dust collector, pulse dust collector, combined pulse dust collector and wet dust collector can be used.